Tablet and smartphone manufacturer Sony revealed on its official Twitter account on Wednesday that it would be releasing a limited-edition "S0-04E Xperia A feat. 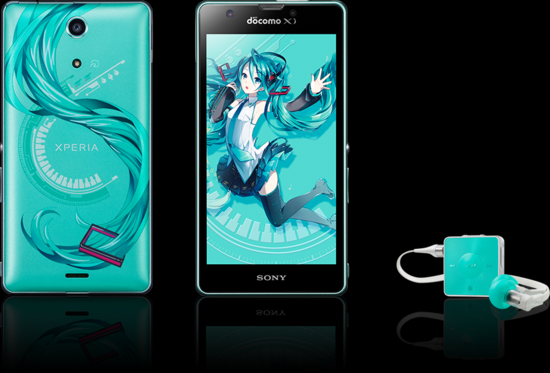 HATSUNE MIKU" phone in late September. Only 39,000 units featuring Crypton's virtual idol/voice-synthesizer are being produced for sale, and will run on the Android 4.2 system. Sony is developing an accompanying "Find Your Miku Project" app with an interface that makes it easy to explore Vocaloid creators and their projects. I would kill to get one.